We specialise in the production of reliable, straightforward and easy-to-use solutions which cater to the needs of users. Software development covers a wide range of different technologies; we currently work exclusively with Microsoft technolgies, targeting web sites and applications running on Windows Servers, desktop software running on Microsoft Windows, and mobile applications on iOS, Android and WindowsPhone platforms. From massive multilingual corporate sites to simple home pages, we are experienced and comfortable building and maintaining web sites of any scale and complexity. Building web sites since the Internet began, we've learnt how to build slick, quick and easy-to-use sites that leverage the full power of web browsing technologies. We know how important search engine optimisation and standards compliance can be to some customers - we deliver to the highest levels. We specialise in developing advanced web solutions, from prototype to final release, visually unique new concepts, and automating complex business processes. With more than 20 years of web programming experience, we make sure that any code on your web site runs quickly, securely and efficiently. Whilst not as regular as web development projects, we do also offer desktop and mobile application development; with a proven pedigree in creating software running on Microsoft Windows operating system and plugins for Microsoft Office. This has ranged from applications for private individuals and businesses, to multi-national banks, and even prototype mobile applications for the Ministry of Defence. We use specialist suppliers to provide the best design to meet your needs, whether it be website templates, logo design, or just layout of a few web pages. We can also work with your own designers to realise their design concepts into fully functional, cross-browser compliant, responsive websites. Sites can be supplied to any specific standard requirements - we have extensive experience in producing fully accessible (WCAG AAA Compliant) sites in HTML or XHTML. 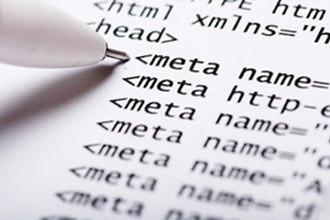 We advise on web site structure from both manageability and search engine perspectives. All our work is hand codes for accuracy of design amongst browsers, ease of maintenance, and to give our clients exactly what they specified without compromise and with search engine optimisation in mind. Creating a good website isn't just about design - the site must cater to its users and all the devices they use to view your site, it must be easy to find in search engines and it must be easy to maintain. Wherever possible we strive to ensure visitors to your site can find the information they require in no more than three clicks of the mouse. Please visit our articles section for many resources useful to planning and developing web sites and desktop application. Content Management Systems (CMS) allowing you to edit the content of your own web pages (see our E-CMS product). E-commerce sites or all scales (see our E-Shops product). Contact Relationship Management systems (CRM). Accounting and Project Management system. Online quizzes / opinion polls. Displaying information from a database.